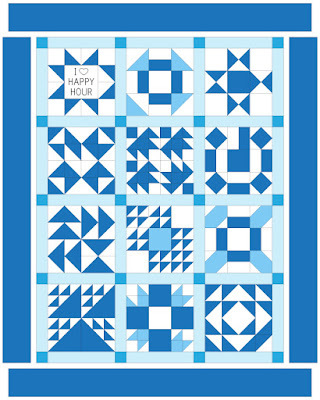 It's the final week of the Drunkard's Wife QAL and it's time to assemble our quilt top. 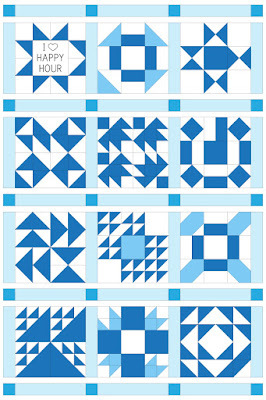 You might want to sober up for this part unless you want a jacked up quilt top. From your FE, cut (20) 2.5" square cornerstones. From the sashing fabric cut (2) 12.5" WOF strips, then subcut (31) 12.5" x 2.5" sashing strips. If you are piecing your borders, cut (6) 5.5" WOF strips and sew them end to end to make a single loooong strip. Then subcut (2) 5.5" x 58.5" pieces and (2) 54.5" pieces. If you aren't piecing your borders, just cut those (4) pieces along the length of fabric. Make a horizontal sashing border with (4) cornerstones and (3) sashing strips as illustrated below. Press all seams towards the sashing strips. Make (5) of these. Make a row of blocks with (3) of your blocks and (4) sashing strips as illustrated above. Press all seams towards the sashing strips. Make (4) of these. Next, sew your horizontal sashing borders and rows of blocks together, pinning at the seams and nesting them. Easy peasy, lemon squeezy. Finish your top of with the borders. Sew the 58.5" pieces to the sides of the quilt top and press seams towards the borders. Then sew the 54.5" pieces to the top and bottom of the top, pressing the seams towards the borders. And there you have it! 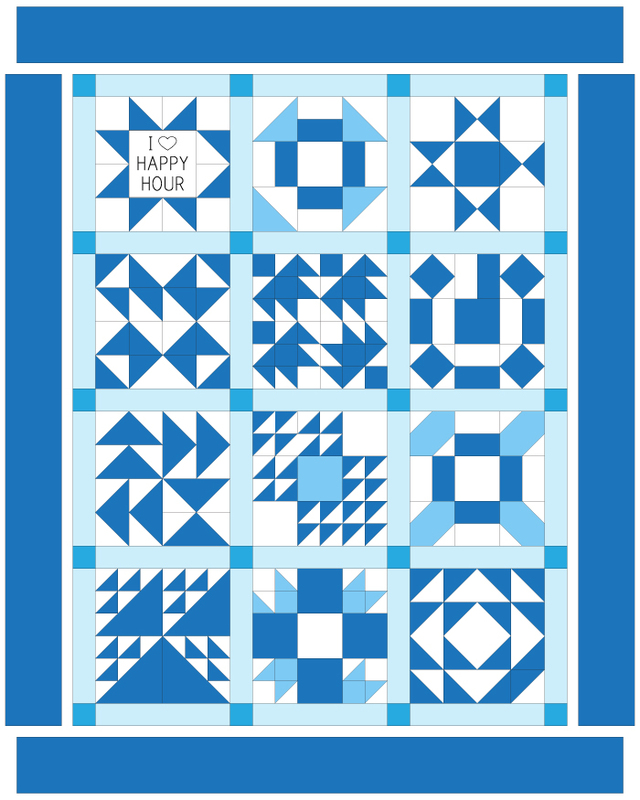 A quilt that will make your grandmother disown you. Thank you to everyone who participated in my first quilt-along! 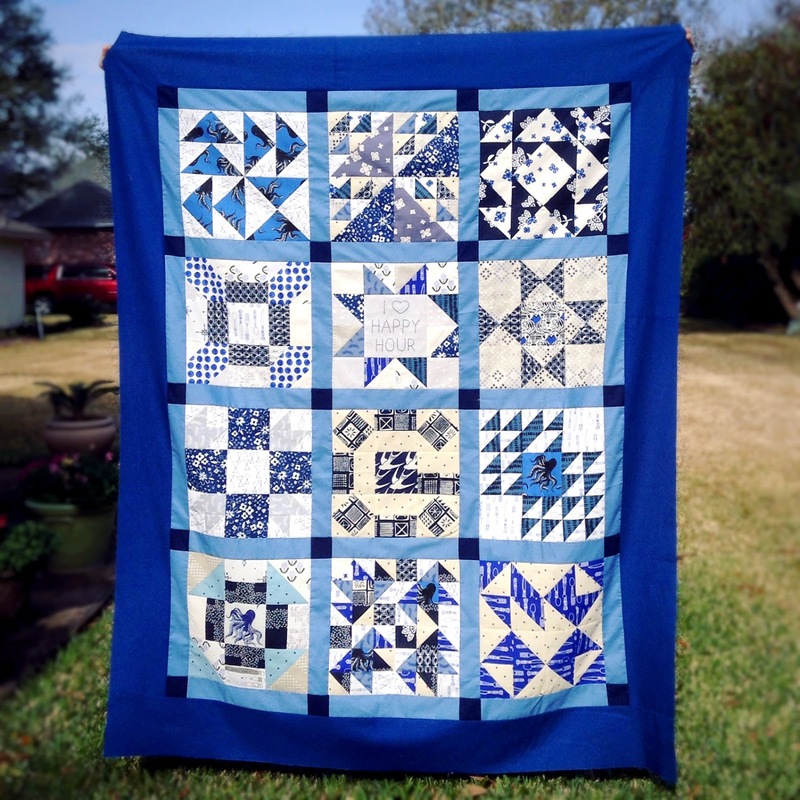 Don't forget to share you quilt tops on Instagram with the #DrunkardsWifeQAL hashtag! I missed getting in on this early enough. It is hysterical. I hope you'll pick another traditional pattern and do another spoof on it as a sew along.